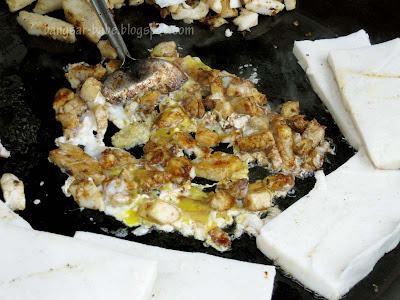 Fried radish cake (chai tau kuey) is a common dish available in dim sum restaurants and hawkers stalls. 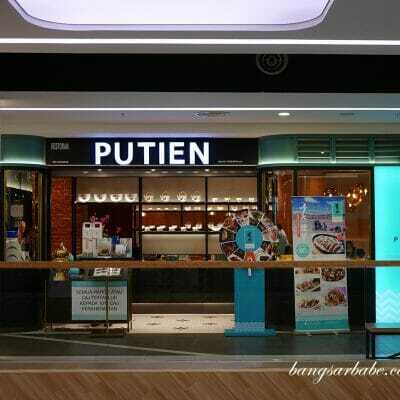 I’ve tried many versions from Ipoh, Penang, Malacca, Singapore and most dim sum restaurants I patronise. The Malacca version remains one of my favourites. 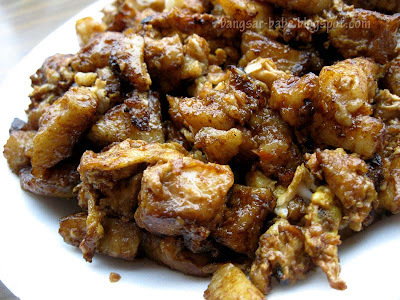 rif loves eating this, and he only eats the radish cake cooked by this uncle. 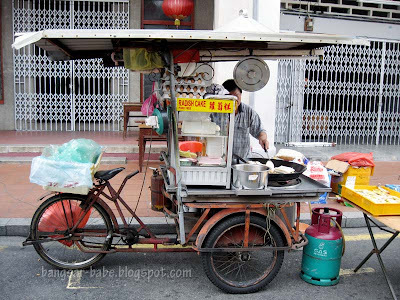 He used to man his stall at Jalan Tengkera, but recently relocated to Jonker Street (along the sidewalk). 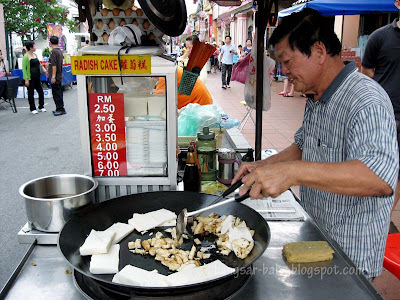 Malacca’s chai tau kueh (RM5 – large) has no bean sprouts, uses plenty of sweet dark sauce and is crispier. The soft and lightly savoury radish cake gets its spicy undertone from the famous Malacca chilli. It was not overly spicy; just enough to tickle your taste buds and leaves you wanting more. 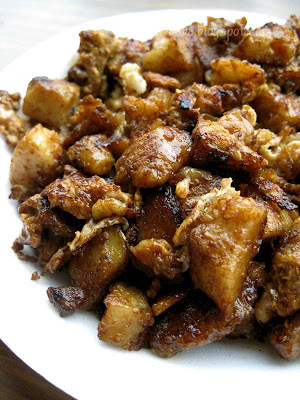 The distinct wok hei imparted a nice smoky flavour to the slightly crisp radish cake. rif and I always have a large plate each, as it is too good to be shared! Simple yet satisfying, go try this when you’re in Malacca. Verdict: Lovely wok hei, crisp edges and firm on the inside — I wouldn’t mind eating this everyday! Oh my… how I miss this dish!!! I'm drooling right now looking at the picture, hehehe… Too bad that I've never seen it here in Indonesia. Jonker St the happening place?! I like it black and chunky, these are yums. this is 1 dish tat i quite like but i've never tried the melaka version..
must try the Melaka version!!! Nvr knew there was a Melaka version of kuay kak! 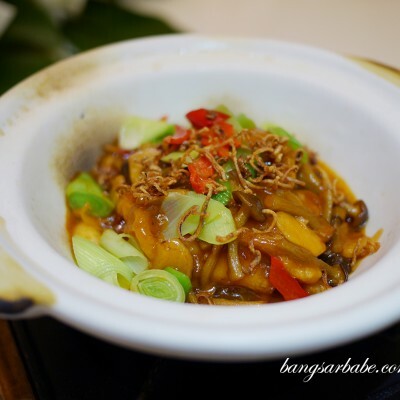 Sin Tai Lim – You're absolutely right! nomad – Got…and I love it! SimpleGirl – Hope you like it as much as I do! Baby – It's nice in its own way. Definitely unlike the HK versions. 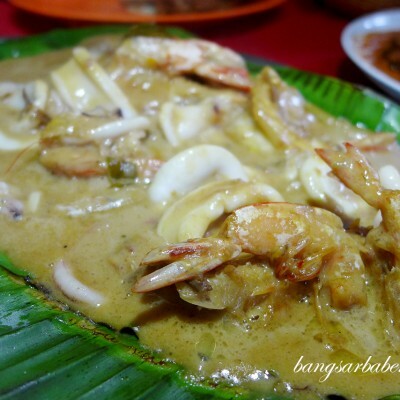 Selba – Go try this when you visit Malaysia again!